If you're anything like us, a new season comes along with a burning desire to buy, buy, buy (which in turn comes with debt, debt, debt). But snagging new items doesn't have to make a hole in your pocket. Exhibit A: Topshop's massive sale featuring items up to 50% off. The retailer has more than 600 items on markdown right now, which is understandably a bit overwhelming to sift through—but of course, we did all the hard work for you. 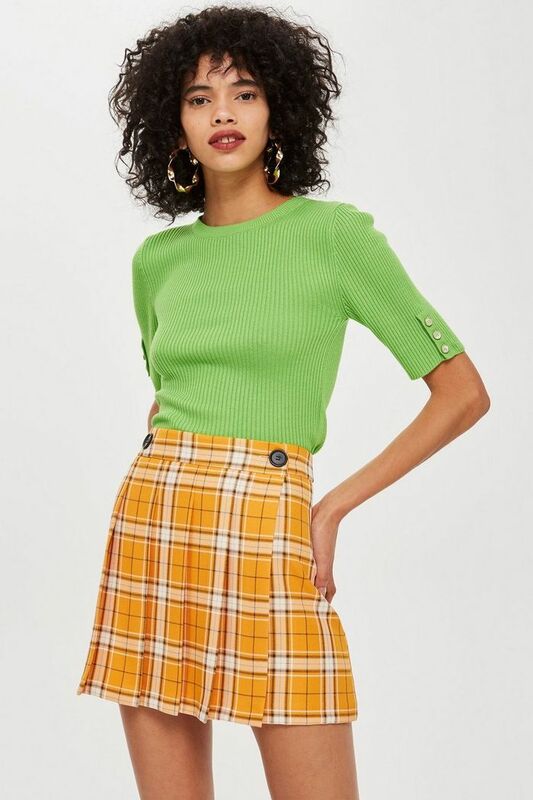 Our picks include a cute plaid skirt begging to be worn with tights and ankle boots, a very on-trend neon trench coat, a work-ready blazer with a twist, holiday party tops, and plenty more. Oh, and the best part? There's nary an item over $65. You can thank us later. Scroll down to shop our edit of Topshop's new sale. We dare you not to walk away with at least a few items in your cart.